The changes to track regulations announced by the UCI last Thursday have created plenty of debate among riders and fans on how they will impact the sport. 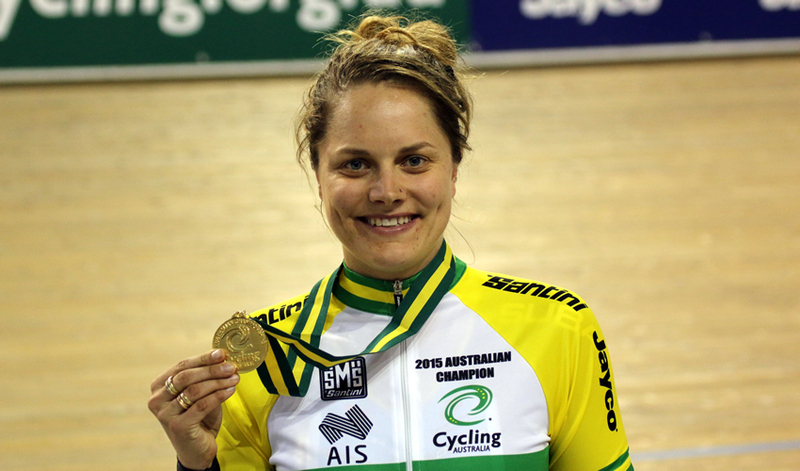 Three time Australian Champion, Oceania Champion and World Cup silver medallist in the omnium Ashlee Ankudinoff was initially unimpressed by the changes to the event. Following a few days thinking about it she has changed her mind slightly even growing to like the idea of a four race one day event. Ankudinoff who has also been elite and junior World Champion and world record holder in the team pursuit is less happy with the change of having two teams on track at a time during qualifying. The introduction of a women's Madison at elite UCI level is one thing Ankudinoff, a former Bendigo Madison winner and Australian Championship medallist is looking forward to. The omnium has been changed to a four-race one day event consisting of scratch, tempo race, elimination and points race what was your first reaction? At first I thought it was quite a bizarre change to the omnium, ever since it was first introduced the omnium would always have timed events combined with bunch races testing all abilities on the track. But I am growing to like the idea of it being a four-race one day event. Removing the timed events is obviously a big step and completely changes the event and the type of rider it suits? Yes I think it does suit the type of rider that is a good bunch racer, can go deep in sprints and recover well, have a good sprint on them for the end sprint and be also tactically good racing in a bunch. Riders who have been working on and improving their timed events and juniors coming up are now left to completely refocus? Given that the omnium is now contested over just one day and only four races it will be crucial that you are well conditioned to back up for four solid lengthy bunch races. Instead of training for the pervious omnium format where there was timed events as well as the bunch races you would only need to focus on bunch race training. I think this was in fact harder to train for as the events varied so much. It was anything from a flying lap to a gruelling 3km pursuit/4km for men and then a points race. Omnium still a new event but has been continual changes since it was first introduced. Do you think this has been detrimental to event in allowing it to grow and for riders to focus on it and fans to understand how it works? I think it has grown since it was introduced, with the introduction to this new format I do however think spectators will have more of an understanding on what is going on. Fans will be more engaged in bunch races as they are exciting events rather than sitting through 1-2 hours of individual pursuits and time trials. You are a multiple Australian champion a World Cup silver medallist is the omnium something you are going to continue to compete in? Yes quite possibly, we will see what happens in the upcoming season on the track. I certainly wouldn't say no if I was given the opportunity to compete in the omnium at a World Cup. Do you think too much focus has been placed on making it 'exciting and entertaining' at the expense of the athlete and having a top quality event? It will be a top quality event regardless of what events, I hope the omnium continues to grow as it is a great event and really is now who has the best legs on the one day across the four events. With just bunch races and having the tempo and elimination race make it feel very much like a carnival event do you think it belongs at World Championship and Olympic level? I guess we will have to wait and see how it goes throughout the next couple of seasons and whether it was the right decision to change the format and whether it proves successful in trying to appeal more to the endurance riders and even road riders who want to cross over to the track. Change in the team pursuit as well with two teams on the track during qualifying what do you think about it? How does it impact the competition? I don't think it is a great idea. It will impact the competition and how teams qualify. How do they seed it? What happens if there is an odd number of teams? One team will be qualifying on their own. If there is a slower team up against a faster team no doubt the quicker team will catch them then they have the hard task of getting four riders past another four riders, which can hamper their time. In qualifying sometimes the top four teams are very close in times and it is very important to qualify in a good position for the next rounds to come. I think it is hardly fair having two teams on the track but again we will have to wait and see to see how it pans out at a World Cup. Introduction of a women's Madison at World Championships a step in the right direction? Something you would like to race? Definitely think it is a step in the right direction. I personally love watching the Madison at the World Championships and it's a real shame we don't see it more often. But the introduction of a women's Madison will be great as it's a very popular event not just from a riders perspective but spectators as well. The Madison regulations have changed as well with a lap gained now giving you 20 points instead of a lap gain to make it the same as the points race. With double points in last sprint in both the Madison and points race. Is this a good thing? Or does it just make it confusing with the changes? I don't mind the idea behind getting 20 points if you gain a lap rather than going ahead one lap on the scoreboard, for a spectator I do think it will be easier to follow just who is winning. In the past it can be quite confusing if one team takes a lap and is ahead of another team who has more points than that team. Making the last sprint double points could be the difference of winning a medal and not and even winning a bronze or winning a gold medal, there is now a lot of pressure to finish off the race well knowing that there is double points on offer. I don't think these changes will be too confusing to the spectators.